Ethos Photographers are a team of award winning photographers based in Wales, working throughout the UK specializing in people, location and food photography. We’ve just finished a great commission to make a short film for “Visit Wales”. We spent 48 hours in North Wales shooting all sorts of various scenarios for this beautiful campaign. Please have a look, share and tell all your friends! Anyone who knows or uses the Sunbounce reflectors will know their advertising campaign “yes, I Bounce” where pro photographers show us different ways they use their reflector/sunswatter etc. Well, we have found a new and inventive way of using them! After nearly flying off many high mountains doing walking and climbing shoots, on a recent shoot at Bala Lake in North Wales we realised its original intended purpose – WIND SURFING!!! Ollie gave it a go!! One of our photographers has been Highly Commeded for Food Photographer of the year 2013! 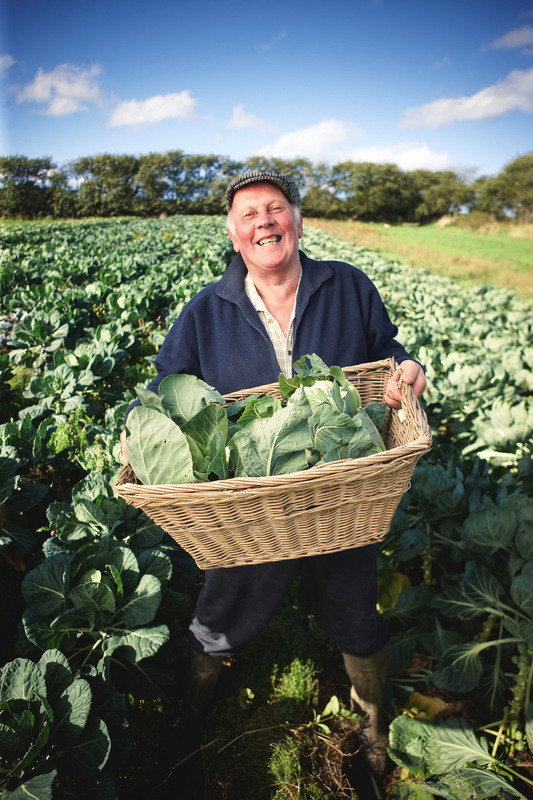 A portrait of Hayden Jones, a cauliflower farmer in Pembrokeshire, has been commended by the judges of the Pink Lady Food photographer of the year.